Ever thought of mastering how to learn Chinese characters effectively? Truth is that it can be a daunting task once you use the wrong method. Another conundrum is that the right method still demands ample time which is over a long time period of learning. Below is a summary of what’s the best way to learn Chinese characters. There are already several articles that touch on the basics when it comes to how to learn Chinese characters effectively. This article, therefore, intends to showcase an overview instead of a long lecture which is tiresome. The summary touches on the key cornerstones including the essence. There are links of the precise articles where you can source further information. Learning Chinese characters is a unique learning opportunity you can hand yourself. It is something most people think of but can never put into practice. This is based on our human disposition of relating meaningful items together. It makes it much harder to connect the meaningless items with less importance even though it can be totally possible. The core of this learning practice is to understand how the Chinese characters are formed. It also requires the knowledge of how they work to make it easier in learning. It is next to impossible trying to comprehend the endless list of Chinese characters without the comprehension of the work. There are two alternatives that you can take in order to master this art. The first route is by learning numerous characters or secondly taking a shortcut through avoiding some challenges and complications possessed by the second language. So what’s the best way to learn Chinese characters? Let’s get started. This ranks as the first article that was posted in the toolkit series. It carries further explanation of the basics relating to character radicals and components. The easiest way to learn to write Chinese includes the learning of the parts of characters and the parts of the words. There exist multiple numbers of combinations when it comes to character components. Therefore, comprehending the numerous end results is not exhaustive. This calls for collecting together a toolkit used for learning Chinese. The tools might turn out not that quite helpful but they fasten the process and it’s the easiest way to learn to write Chinese. This turns into a profitable course which you are assured of reaping the benefits while studying Chinese. Basically, it is necessary to learn the smaller building blocks of the characters in order to learn the numerous numbers of existing characters. The combination of the old and current knowledge becomes much easier to comprehend a totally new concept. A common advantage of understanding Chinese is that it connects to everything as everything stands for something which is more accessible especially in the English language. This urges the question, what’s the best way to learn Chinese characters? This explains the comprehension of the phonetic components as crucial in the learning process. The lack of understanding of their work will automatically lock out the learner from the wide access to the memory help of the characters together with the pronunciation. Unlike the English which uses phonetic, this is unlike of Chinese. It is more of a puzzle with the character exhibiting clues on the manner of pronunciation. The knowledge on how they are pronounced is an indiscrete knowledge of how they will be written. It requires one to know how they are looked for. There exist four core kinds of Chinese characters that you have to apply our answer to the question what is the best way to learn Chinese characters to. These consist of simple ideograms, pictographs, phonetic-semantic compounds, and combined ideograms. In most cases, learners relate pictographs and ideograms as the most prevalent common types. Even though they are part of a core basic, the vocabulary related to nature and a huge number of characters are not ideograms and pictures. An easier comprehension of the prevalent manners of the construction of the Chinese characters will assist in understanding them. This strategy is imposed by John Renfoe, an expert when it comes to Chinese characters. According to Renfoe, there is the critical comprehension of the functioning of the components in the Chinese characters. This calls the need of the understanding the different functions of the components with some giving the characters sounds other assigning the name. Through the focus on the function through each component, a logical comprehension of the working of each character can be drawn thus assisting in learning and also memory. What the Best Way to Learn Chinese Characters? Given the common ground established in the comprehension of the Chinese characters, the next step is learning them. It is a common trend for most of the beginner’s to start with inefficient learning character methods. This begs the question, what the best way to learn Chinese characters? There exist five parts which contain numerous pictures of the handwritten characters that are mixed with information together with advice. The next step after comprehending numerous characters is remembering the steps learned. Some techniques that can be used for this method include; the use of spaced repetition software. The characters become efficient especially when they are combined. This makes use of algorithms and computer programs which calculate the optimal intervals that exist between the characters. Skritter is also another technique which offers a solution for learners in need of combining the spaced repetition and the handwriting. Unlike other applications which make use of passive training, this application gives you the chance for active writing with a connection to your handwriting. This ensures that you improve gradually. Aside from the screenwriting of the Chinese characters, there exist other options that a learner can seek. 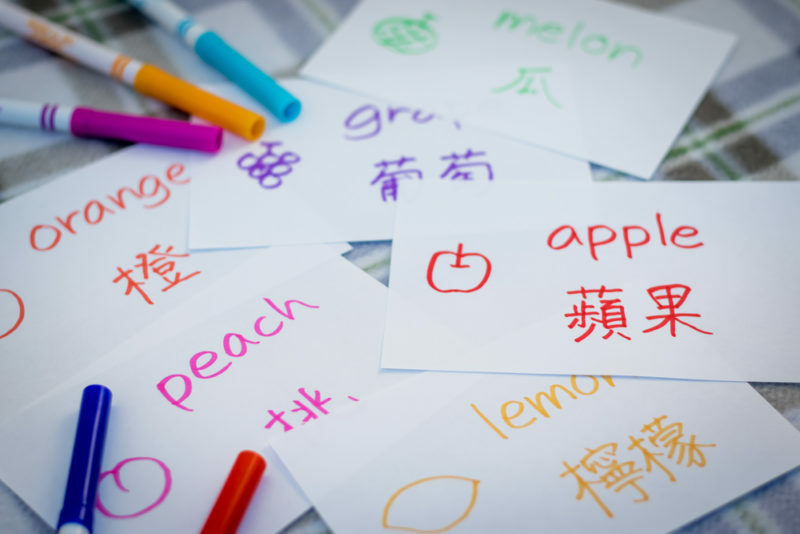 Learners can learn how to write the Chinese characters through the use of communication. This forms part of the overall goal of the entire learning. It comes into play when writing the Chinese for the sake of communicating with the Chinese audience and the native speakers. This can make use of handwriting input encrypted in phones to offer similar results. There are also a number of memory techniques you can use to remember the Chinese characters. This can be through learning the actual skill. Another option is the use of memory aids and the mnemonics in order to ensure learning. There you have it! Those are our answers on what is the best way to learn Chinese characters.